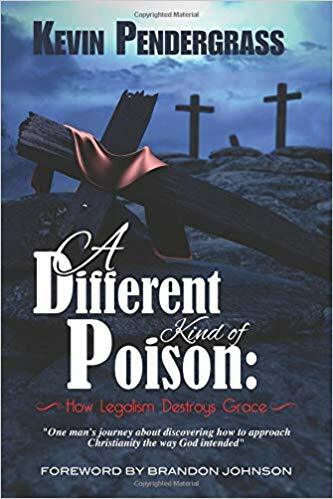 This book is a journey from legalism to grace through the life of Kevin Pendergrass. I was unaware of Kevin’s story and his transformation until I read his book and I would like to make you aware of this resource. Kevin group up as many of us did – contending for the faith (which meant contending for the 1950s Church of Christ). He was a fighter…a debater. He knew who was right and wrong and what verses to proof text to prove it. He is very open about the hypocrisy that was in his life during those years as he struggled with various things all the while calling on others to perfection. He was an insider…speaking all over the country and working with ministries that had high visibility in our fellowship. He was an active participant in correcting and reproving various people and groups on a regular basis in a very public way. He openly admits he was dogmatic and self-centered. Something needed to change. His journey is something many of us can relate to but fewer find a path to something healthier. He talks about what changed his mind and how he came to a better understanding of the grace of God. This takes up the first 36 chapters of the book. Chapter 39 – Is Heaven Really that Small? Chapter 43 – But What About Works? He not only desconstructs legalism, he reconstructs a more biblical theology that still has room for obedience but puts it in its proper context with an emphasis on grace and the love of God for us. Chapter 49 is his “Aha” moment that I won’t spoil for you but mention it to say that I believe this book will set off some “aha” moments for those who read it. Here is why this book is important – Churches of Christ have had some identity issues. Once we figure out that legalism is poisonous we struggle to know what to replace it with. This book helps illustrate an answer to that problem that I found helpful and I think you will too. Thanks to Kevin for being vulnerable and I am sure this puts him in an awkward position with some people but what he has done will prove helpful for many people.